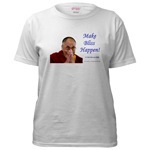 50% of the profits from the sales of Got Enlightenment? 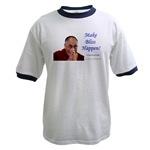 will be donated to New York's Tibet House. 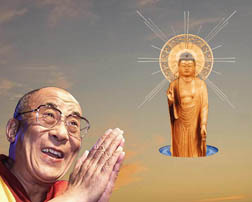 Got Enlightenment? 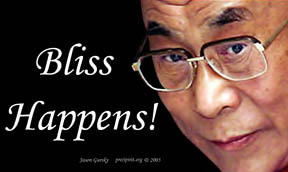 is available as prints from DotPhoto.com in the following sizes and costs. 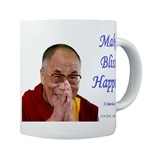 Shipping and sales tax are extra. 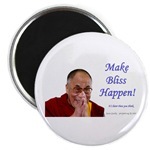 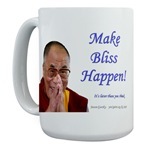 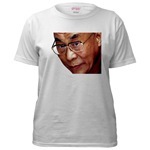 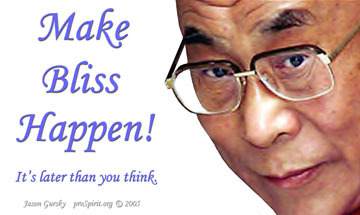 Dalai Lama images on the proSpirit General Store on CafePress.com offers the following images on many products.